Kids midi bunk beds, kids midi single bunk beds with safe designs. 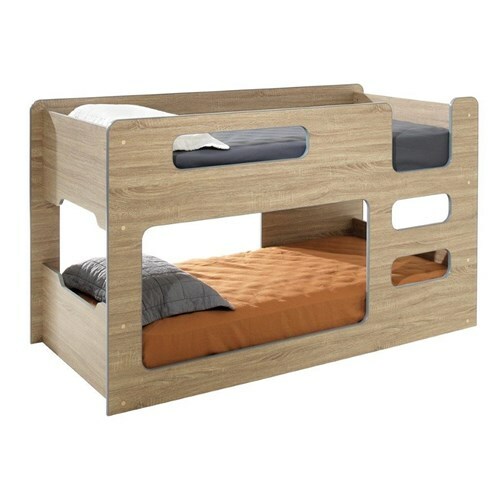 DESCRIPTION: single size midi bunk bed in oak. Ideal for small room and young age children. Built to Australian safety standards guidelines. Colour Disclaimer: Actual product colour may not exactly match either the colour of samples or colour as it appears on screen. Ready to assemble. For more kids bunk beds for older kids please browse our bunk beds and loft beds section.